Smartphones, particularly those of the high-end variety, are in an interesting place right now. Now that it’s been 10 plus years since the game-changing technology’s first introduction, the industry seems to have hit an era of maturity and a resulting innovation plateau. The modern high-end Android smartphone space, in particular, is ultra-competitive, with few features actually differentiating devices. Let’s take a look some of 2017’s big devices: the OnePlus 5T is great, LG’s V30 is excellent, and even Google’s Pixel 2 XL — a somewhat beleaguered device I still really like — is generally a great smartphone. These are just three examples of impressive high-end Android smartphones in an industry chock-full of great handsets. So where does Samsung, a smartphone manufacturer that’s been at the top of its game for years, take its flagship line in 2018? A few years ago, major smartphone makers such as LG and Motorola attempted to shift what we expect from the tiny, powerful computers we carry around in our pockets all day by launching modular components aimed at adding new functionality to their devices. While LG ditched that strategy soon after the launch of the G5 and Moto continues to plod on with its Moto Mods, it’s clear this trend was not the future of mobile devices. 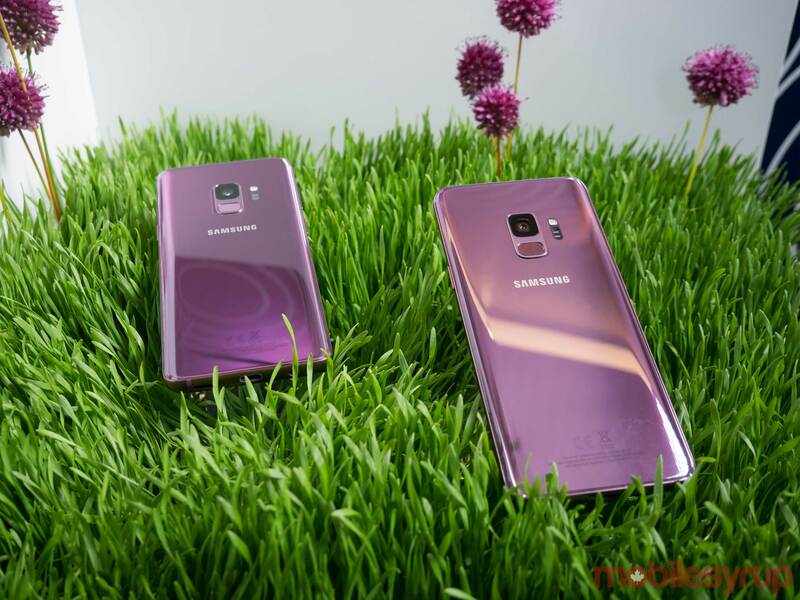 With the Galaxy S9 and S9+, the successors to last year’s impressive S8 and S8+, Samsung is betting the future of the smartphone industry largely rests on a device’s ability to snap great photographs. This isn’t a new direction for Samsung, with the S7, S8 and even the S6 — depending on who you ask — all including impressive cameras. With the S9 and S9+ though, the war for the top smartphone camera has been kicked up a few notches. At the outset, the S9 and S9+ are very similar to their predecessors, save for a few key differences. For one, the fingerprint sensor now sits below the smartphone’s camera array. While still not as easily accessible as the Pixel 2 or Pixel 2 XL’s rear-facing fingerprint sensor, this is a good move on Samsung’s part. 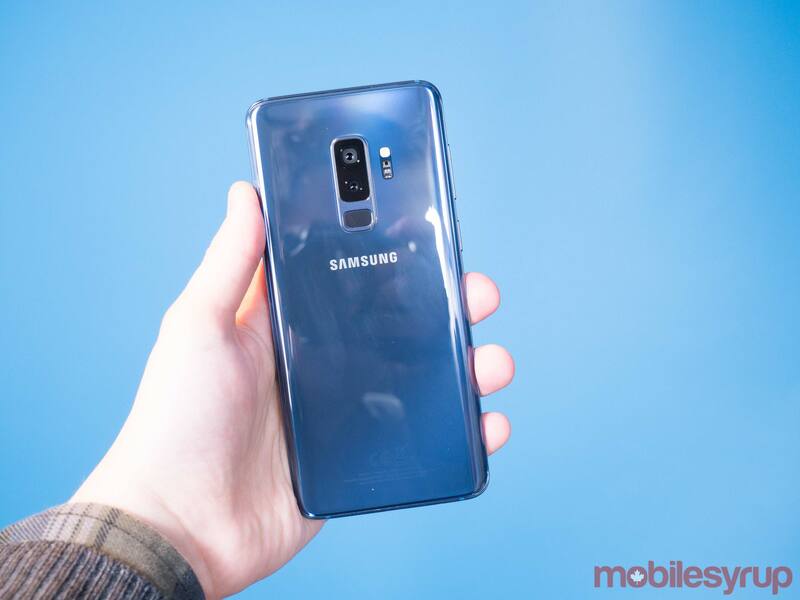 The S8/S8+ and Note 8’s fingerprint sensor are difficult to access because it sits to the right of the camera lens, forcing even those with average sized hands to awkwardly claw their fingers around the smartphone in order to reach it. With this in mind, if you were hoping this would finally be the year Samsung integrated the fingerprint sensor into the smartphone’s display, you’ll, unfortunately, be disappointed. Perhaps the company is saving that technological leap for the Note 9 or next year’s S Series device. That said, the S9 does feature some significant internal hardware upgrades, including Qualcomm’s new Snapdragon 845 processor, which I can confirm is coming to the Canadian market. On another note, both phones now also feature stereo speakers. 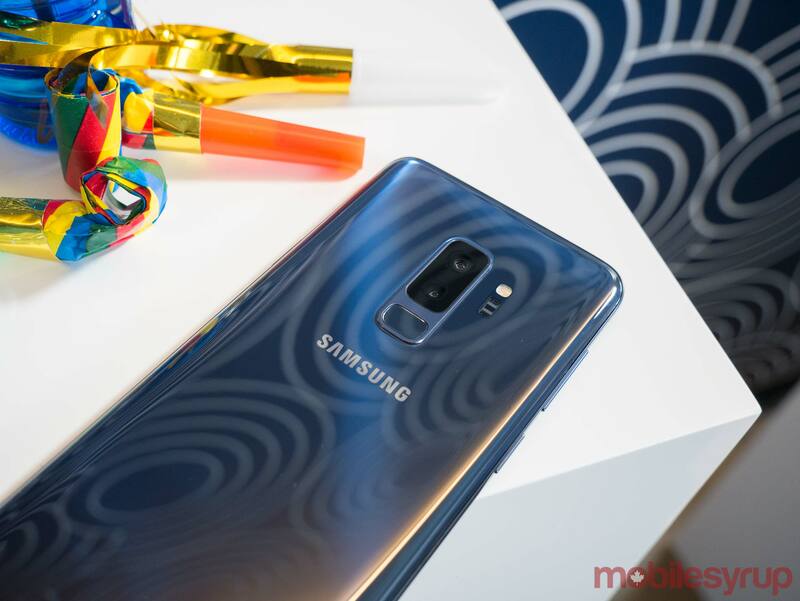 Though I was only able to hear a brief audio demonstration, the S9’s sound seems fuller and more importantly for those who enjoy video and audio content with the volume turned up, much louder than last year’s flagship Samsung devices. More interestingly, Samsung says the phone also features Dolby Atmos simulated surround sound. Other new features include Gigabit LTE support, allowing for data transfer speeds of up to 1.2GB/s, though this is more future-proofing the smartphone than anything else. The S9+’s RAM has also been upgraded to 6GB, while the S9 still has features 4GB. The same can be said about display resolution and size, too: 1440 x 2960 6.2-inches for the S9+ and 1440 x 2960 5.8-inches for the S9. With this in mind, it’s worth noting Samsung has shrunk the ‘Infinity Display’s’ top and bottom bezels slightly, though I only noticed the change after it was pointed out to me by a Samsung representative. 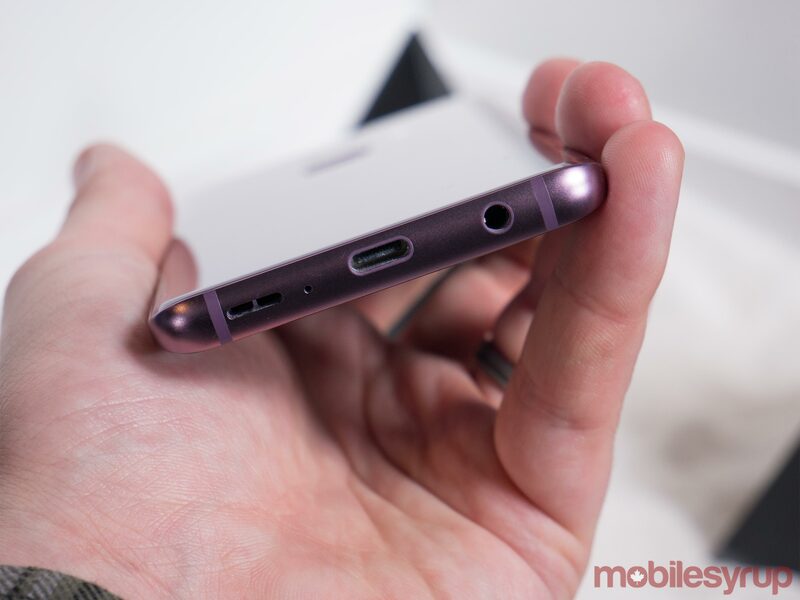 If you thought Samsung was going to finally stop lauding that its smartphones still feature a 3.5mm headphone jack, then you’re wrong. Once again, Samsung is sticking with the standard headphone port, a move most people will likely be pleased with. With the S9’s key technical specs out of the way, it’s the camera, as well as a few new software features, where the smartphone becomes more interesting. Though Samsung introduced a super-slow camera mode with the S8, the feature is expanding with the S9/S9+ and is now capable of recording at up to 960fps. This transforms a 0.2 second clip into approximately six seconds of slow-motion video. Samsung says slow-motion mode was one of the S8’s most frequently used features. It’s also now easier to access the stock camera app’s different modes this year now that they can be navigated through with a simple swipe at the app’s top panel. This video was shot with the S9+’s 960fps slow-motion mode, but the GIF was created with Giph Brewery 3. Slow-motion video also includes an auto and pro mode, with the automatic feature triggering 960fps when motion is detected in a predetermined area of the display. While slow-motion video is undeniably fascinating and the fact that the resulting file can be exported as an easily sharable GIF is a great move, especially when music is automatically added, I found actually capturing good footage to be an unreliable process — especially when set to auto mode. However, the S9’s marquee camera feature is the shooter’s variable aperture, a first in the smartphone space. The S9’s rear shooter and one of the S9+’s back lenses, is capable of switching between f/2.4 and f/1.5. Unlike a standard DSLR, there are no aperture stops in between these numbers, with the S9’s shooter making the binary decision between either f/2.4 or f/1.5. You can even see the aperture change when looking closely at the rear-facing variable lens. The photo on the left uses the S9’s f/1.5 aperture, while the one on the right features f/2.4. I walked away impressed with the S9 and S9+’s variable aperture, especially when using Samsung’s camera app in manual mode. The ability to subtly change depth-of-field, all without processing trickery, is a feature I’ve always wanted in a smartphone. The variable aperture also seemed to help with low-light performance, something Samsung emphasized during my briefing. It’s also worth noting that the variable aperture isn’t available when in super slow-motion mode since ample light is needed for the effect to work properly. Other changes to the S9’s camera include a built-in DRAM memory chip, with the company says powers the S9’s super slow-motion camera mode, as well as reduces noise in photos. 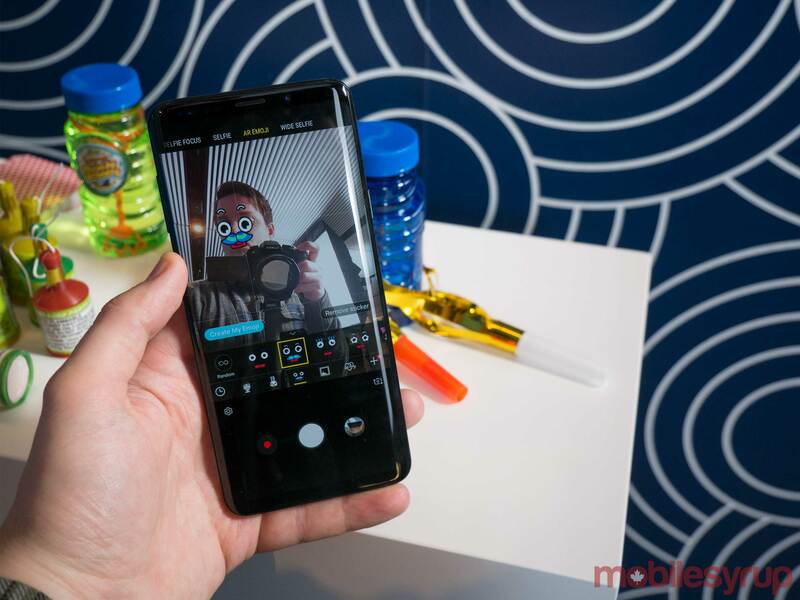 Megapixel-wise, the S9 and S9+ measure in at 12-megapixels for the selfie shooter, with the front camera coming in at 12-megapixels — the S9+’s second lens measuring in at 12-megapixels, too. 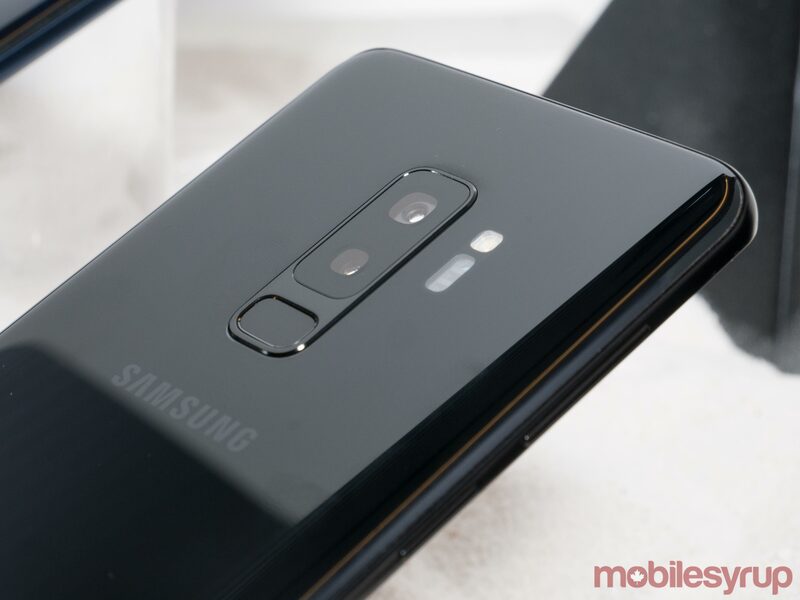 Both of the S9’s rear shooters and the S9’s front camera, feature optical image stabilization, a feature that was previously only available in the Note 8. 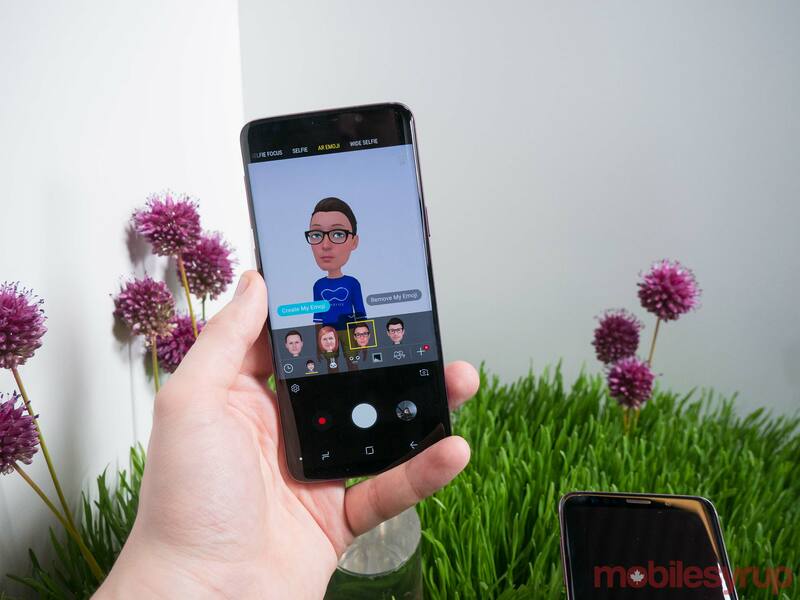 Samsung has also added a new iPhone X Animoji feature called AR emoji to its Galaxy line with the S9. Unlike Apple’s Animoji, the user’s face needs to be mapped through a process that takes approximately 20 seconds. This two-dimensional image is then transformed into a cartoony 3D replica that shares the user’s likeness. The underlying tech is neat and there are other AR emoji options, such as placing animated lips and eyes on subjects while using the camera, as well. It’s unclear if the ease-of-use factor is there like it is with Apple’s Animoji though, so more time to experiment with the feature is definitely necessary. Samsung also says that S9/S9+ come with the same AKG headphones as the S8 did, along with a fast-charger included in the box. A new, upgraded version of Samsung’s DeX docking accessory called the DeX Pad is also on the way. Instead of holding the S9 upright, DeX Pad orients the smartphone horizontal. This is because the S9 can be now used as a laptop-like trackpad when docked on the DeX Pad. Samsung says that on-screen keyboard functionality is coming, but that the feature won’t be available when the DeX pad launches. Finally, the new DeX pad is capable of supporting monitors that feature an up to 2K resolution and is also backwards compatible with the S8/S8+ and the Note 8, according to Samsung. The S9 is an iterative upgrade to the already impressive S8. 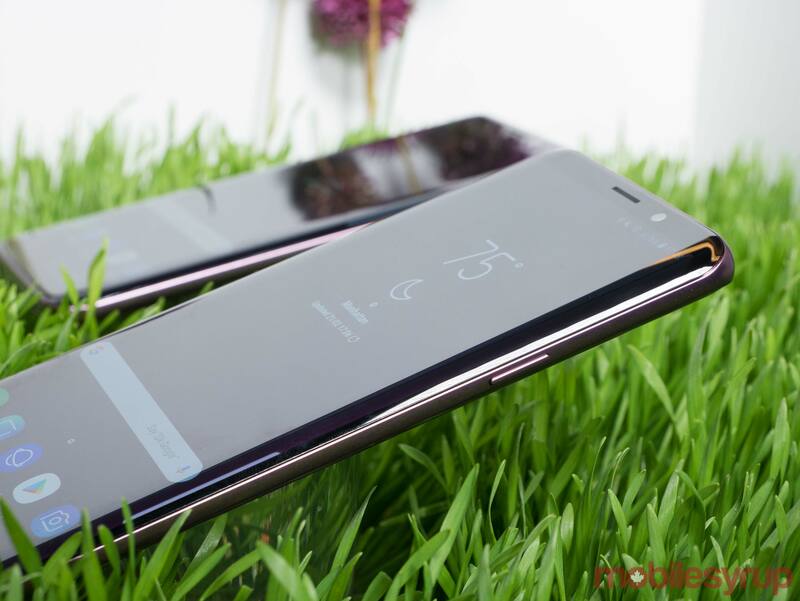 If you were hoping for a complete revamp, or an update reminiscent of the leap between the S6 and the S7 -- or even the S7 or the S8 -- you're going to be disappointed. Samsung has taken a very Apple-like 'if it isn't broken, why fix it,' approach to its flagship line this year. 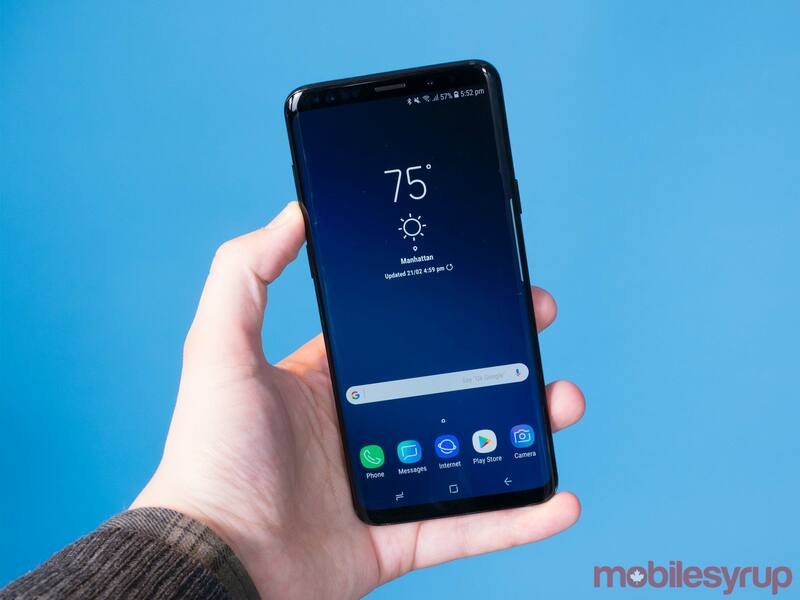 There are certainly new features that some may view as reasons to upgrade from the S8, or even an older Galaxy device, but how valuable this new functionality is will be based on how you use your smartphone on a daily basis. "The S9 is an iterative upgrade to the already impressive S8"